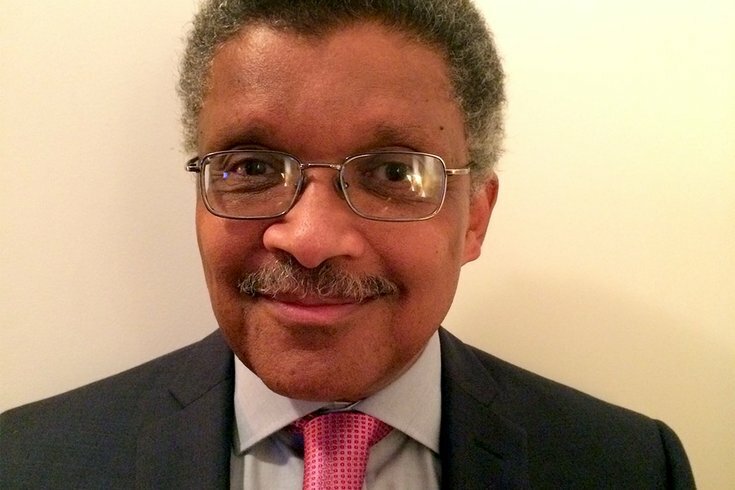 Kip Davis, 63, of Manhattan, will receive his degree in sociology and anthropology on Sunday, 42 years after serving as class president and commencement speaker at Swarthmore College. Kip Davis was in line to graduate from Swarthmore College in 1975. As class president, he even gave a speech at his commencement ceremony. On Sunday, he will receive a bachelor's degree, again taking part in commencement at the private liberal arts college in Delaware County. And having completed his thesis — more than four decades after starting it — he'll walk away with a degree in sociology and anthropology. "I'm hoping it's a lot of fun," said Davis, 63, of Manhattan. "It's nice that my children are so excited about it. My son is insisting that he's going to get an air horn and make lots of noise." In his speech 42 years ago, Davis urged his classmates to find a career they could serve passionately to carry them through life's hardships. "Having grown up on a college campus, I wanted to find a way to be a non-academic intellectual," said Davis, the son of a college professor. "That is, to pursue intellectual activities outside of academia." At the time, Davis only needed to complete his thesis to graduate. He had begun examining how social changes, like integration, affected Howard University in Washington, D.C. But because his heart wasn't fully engaged in the topic, Davis put the thesis aside. "Even though I'd been a sociology and anthropology major, I was going to go on with a career in theater," Davis said. "At the time, I didn't think it would make that much of a difference, either in my life professionally or emotionally." Davis pursued a theater career for several years, heading off to a drama school in California and later collaborating with his brother and cousin on an opera about Malcolm X. But in the mid-1980s, Davis decided he needed a better job to support his family, which now includes two children. He transitioned to a career in market research, and now serves as a study director for a firm in New York City. Over the years, Davis became reinvolved with Swarthmore College. He helped found its Black Alumni Network and served as a member of its Alumni Council. He even advised students, stressing the importance of their thesis. But Davis said he gradually began feeling intellectually dishonest in handing out such advice. "I kind of felt a little hypocritical giving this recommendation to students without having finished myself," Davis said. "Last July, I decided to do something about it. I reach out via email to the registrar of the college. I said, 'What do I need to do to finish my degree?'" It took Swarthmore College some time to clarify his records, partly because everything is now digital. Davis was one credit shy of graduation and a two-credit thesis short in his major. Last fall, he went to work. He ditched his former topic in favor of studying the history of Oak Bluffs, a historically black summer community on the Massachusetts island of Martha's Vineyard. "What did this community provide for African-Americans who went there for the last 100 years and what did they get out of being there?" Davis wanted to know. "How did this community grow? With changes in segregation practices, has its role changed in how it currently functions?" Having examined those questions, Davis will finally get his degree.